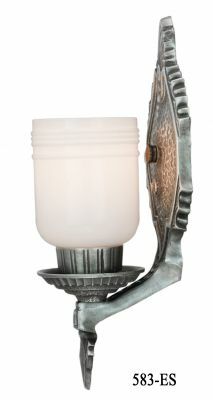 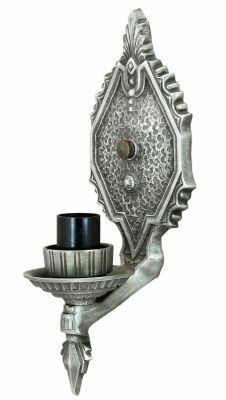 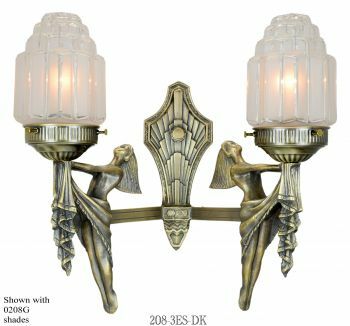 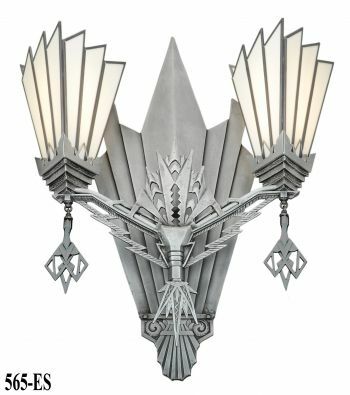 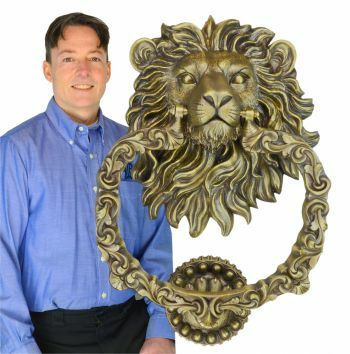 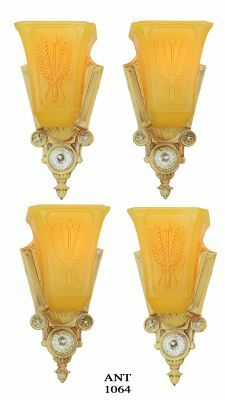 583-ES Deco to Arts and Crafts Style Wall Sconce. 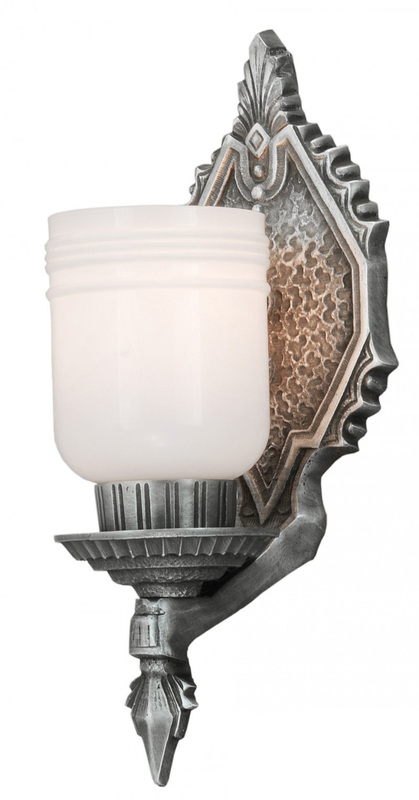 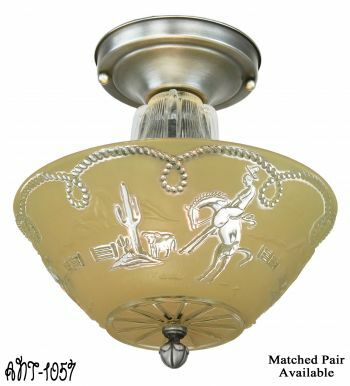 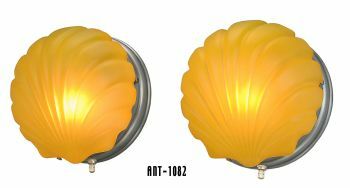 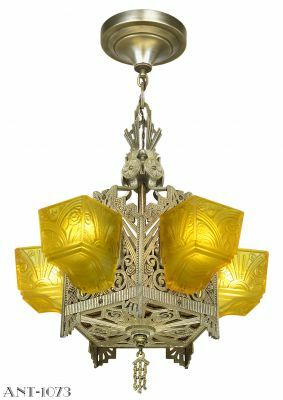 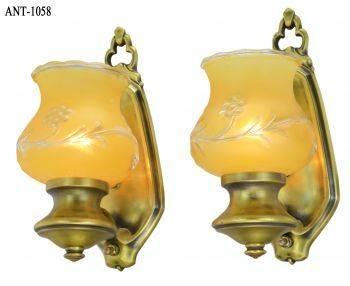 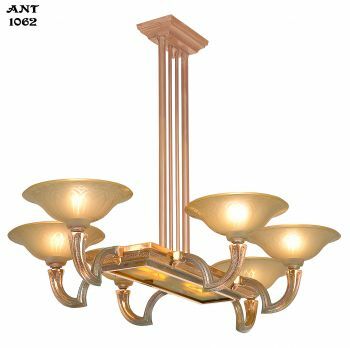 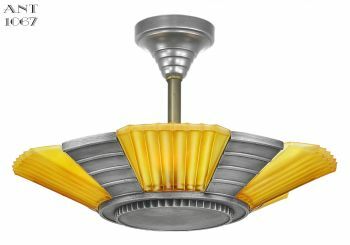 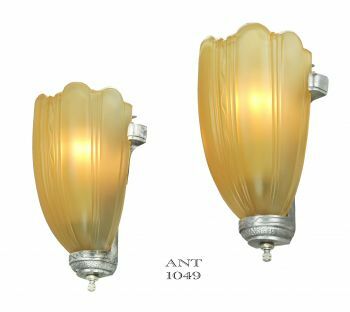 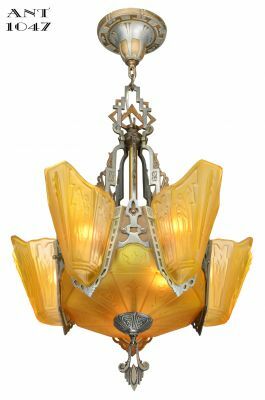 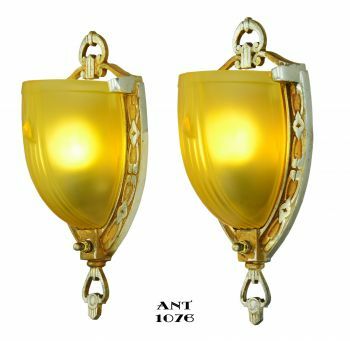 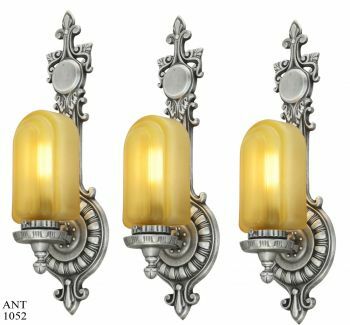 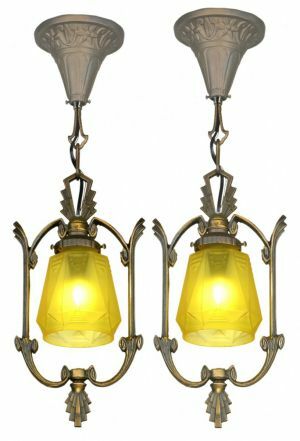 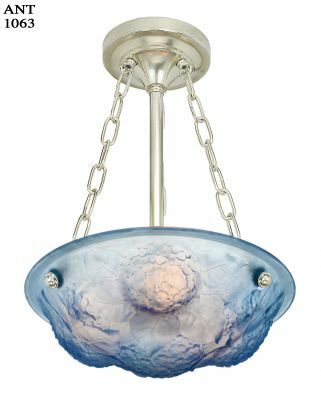 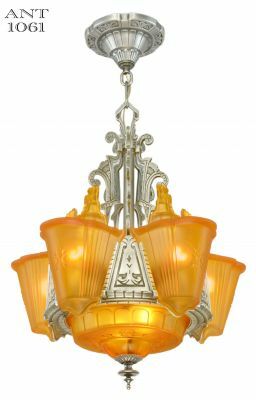 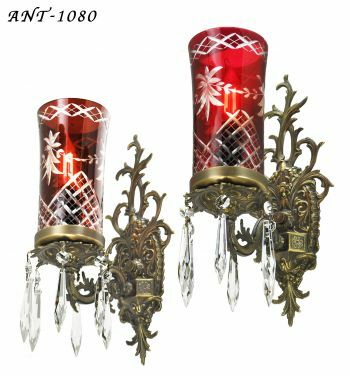 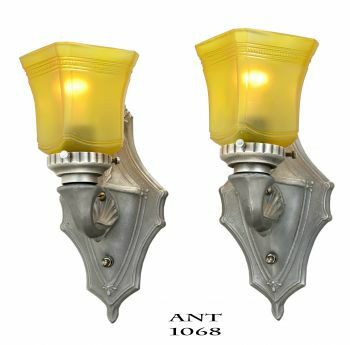 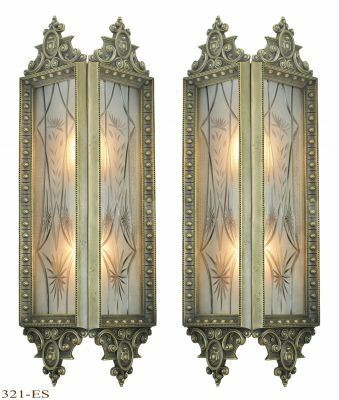 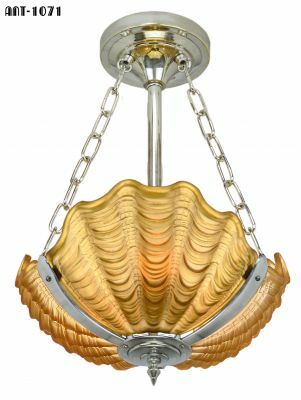 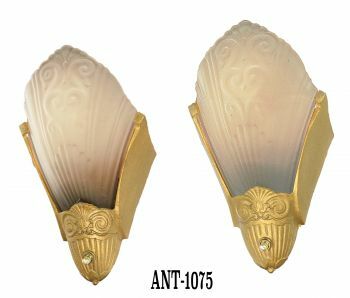 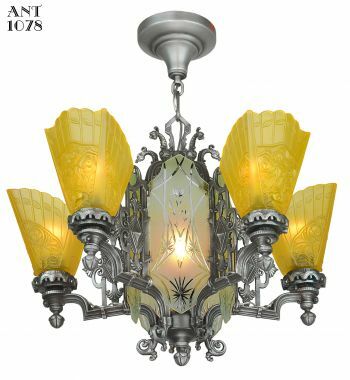 Re-created from an original antique sconces with original style ribbed Glass antique shade...which...is included in the price of the sconce since VERY few shades will fit this minimum offset distance. The metal, of the backplates, is cast metal with a lovely pewter finish. 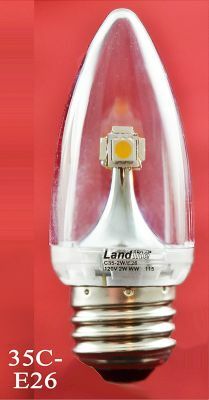 Ready to go...nothing needs to be done except add the light bulbs of your choice. 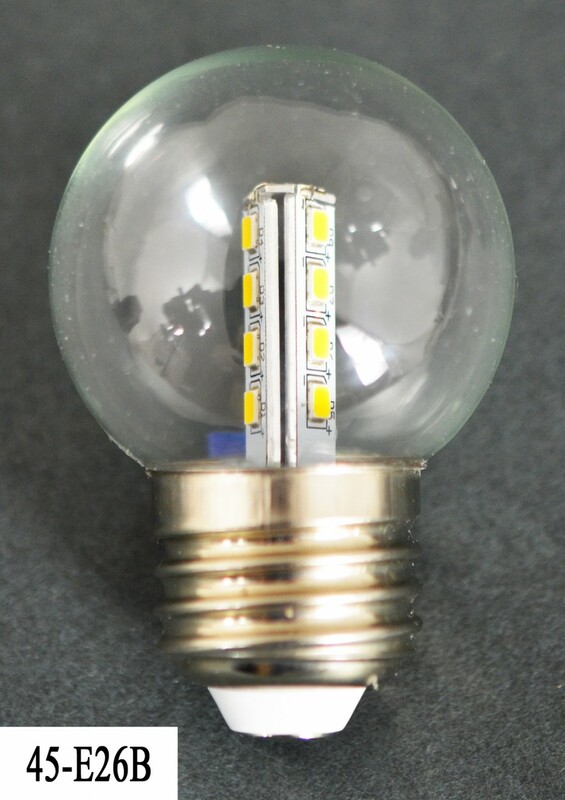 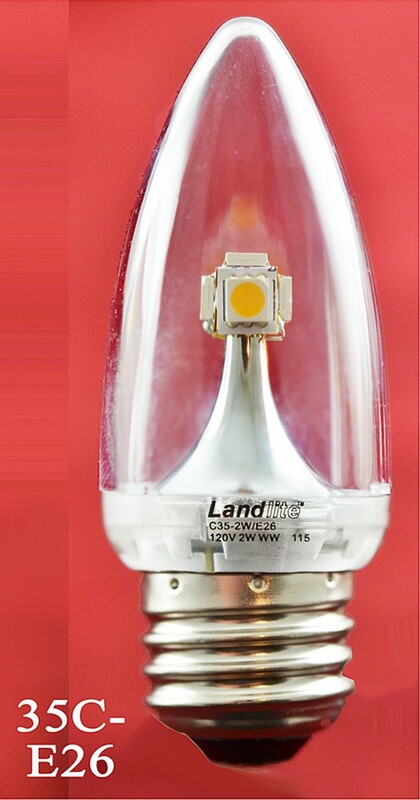 We would recommend our LED candelabrum bulbs, Either 45G-E26B ...or...35C-E26 if you wish ambient light rather than full room power. The ambiance of these bulbs is warm and they draw so little electricity (1.6 watts) that we have known folks that leave them on 24/7. Measurements: The Overall sconce height is 11”. 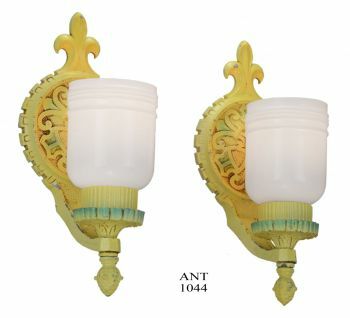 The maximum width (shade) is 4 1/2”. 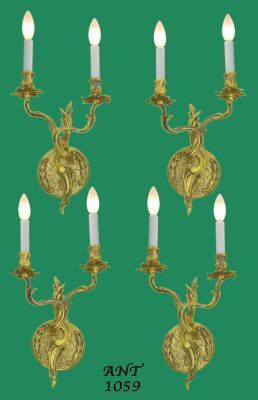 It will project into the room, from the wall also 4 1/2”. 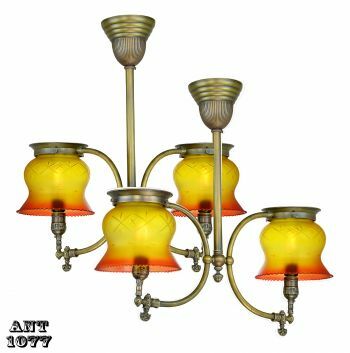 Price is Each: $235.00 and does include the shade shown but NOT the light bulbs. 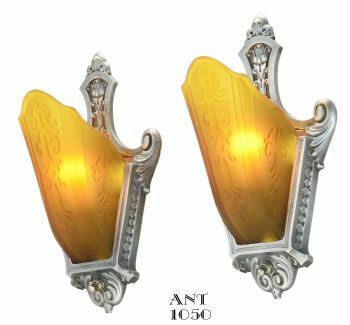 Careful packaging and shipping is added.